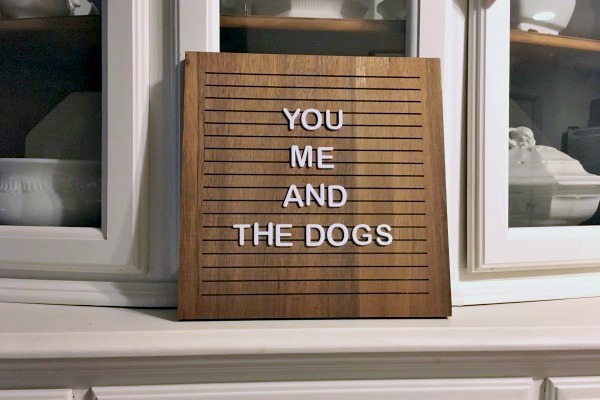 Isn’t this the cutest letter board?! I’m obsessed with the wood vs. the usual felt. I’ve been wanting a letter board for like 2 years and as soon as I saw this one from Emmerie Lane on Instagram…I had to have it. I ordered the square walnut letter board, but they also have a larger rectangular one and white/red oak versions of each. Last week I signed up for Jones Design Company’s online watercolor class and I’m so excited to start! I’ve always loved the look of watercolors, but have felt overwhelmed when it comes to trying to paint my own. Just figuring out the right supplies felt so overwhelming! Luckily the first lesson is about buying supplies and I ordered their recommendations on Amazon, so I’m ready to go! Now I just need to start painting! Registration has already closed for the class, but I think she mentioned that it would open again in the summer. If this is something you’re interested in trying, keep an eye out for that! Adam’s sister-in-law and I are doing a two person book club for The Happiness Project. She wanted to read a personal development book and I love Gretchen Rubin, so it seemed like the perfect book choice. Having it be just the 2 of us has worked out so well too! If one of us is behind, it’s not a huge deal and it’s so much easier to coordinate our meetings. We meet for dinner after every 3 chapters to discuss the book (and gossip of course). We’re more than halfway done now and I really like the book overall. It makes me want to start my own happiness project…or at least make a few changes to my life/relationships. Now through Sunday, May 27th is Arizona Restaurant Week! 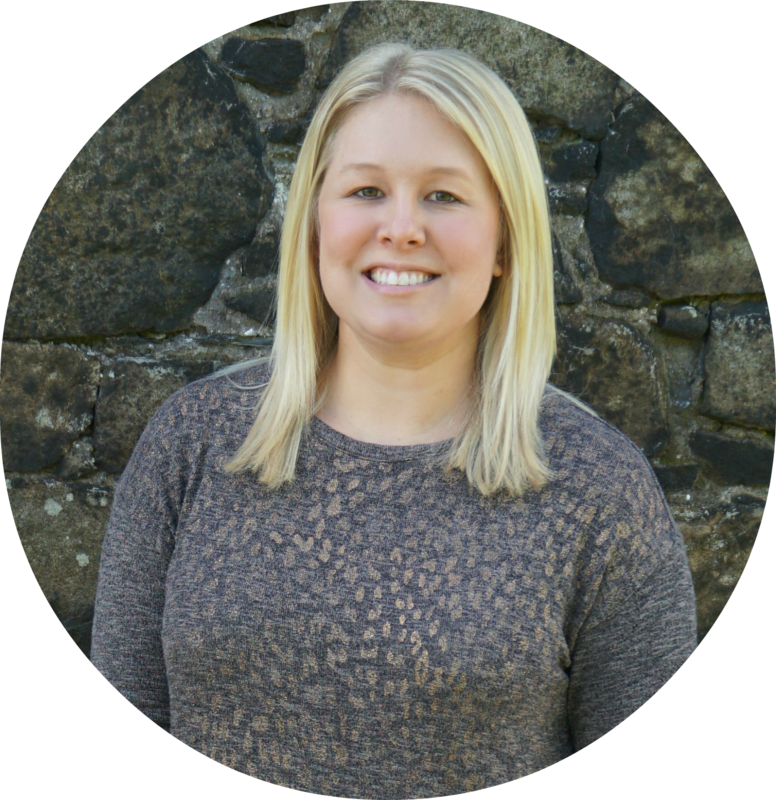 We always have grand intentions of trying new places while they’re offering specials, but we usually find out too late or already have plans. I think the only place we’ve been during Restaurant Week in the past is Fogo de Chão. My friends at work and I have done a few family dinners there before, but it can be pricey so it’s definitely the time to go. 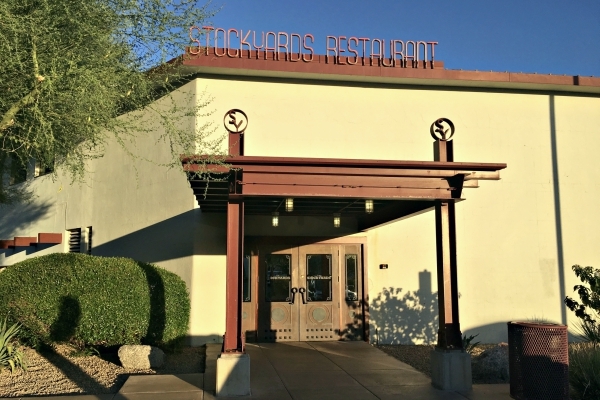 Anyway, this time we actually planned ahead and made reservations for Stockyards Steakhouse in Phoenix. It’s Arizona’s original steakhouse! We went there for dinner last night and it was delicious! Our steaks were perfectly cooked. We’re still doing keto, so the potatoes and dessert were a cheat, but we both agreed we’re fine doing limited cheat meals as long as they are planned ahead of time. The next Arizona Restaurant Week is September 21-30. 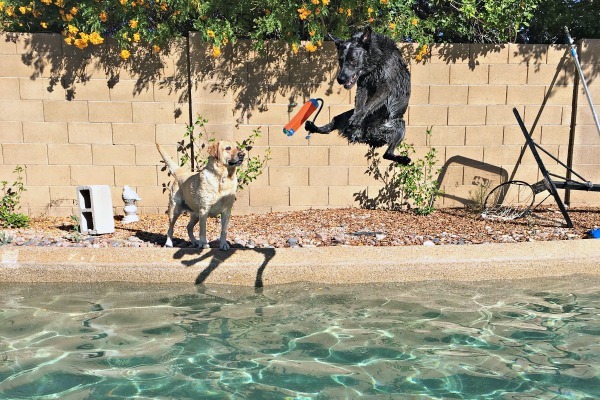 It’s swimming season in AZ and the dogs could not be more excited! Ringo and Abby are obsessed with the pool and Jelly is obsessed with stealing the pool toys from them. She doesn’t like to swim (yet), but she’ll stand on the top step. That’s how Ringo used to be too. Then one day he just swam off the step and now all he wants to do is jump in and swim around. Abby’s a lab so she’s always been up for a swim. It’ll be interesting to see if Jelly gets even more comfortable her 2nd summer with us and the pool. Do you have plans for Memorial Weekend? We’re taking a quick trip to Mesquite, NV for Adam’s cousin’s graduation. We’re flying out today and coming back tomorrow night! It’ll be a quick turnaround, but it’ll be nice to be able to spend some of the long weekend at home too! Yes! I love that it's a different take on the felt ones that are EVERYWHERE right now! The letter board is so cute! It is! Now I just need to keep it updated and not leave the same phrase on there forever! Your dogs are hilarious! And swimming is so fun! Haha they definitely have a lot of personality! Especially Ringo, as you can probably tell from his jump/ninja kick into the pool. 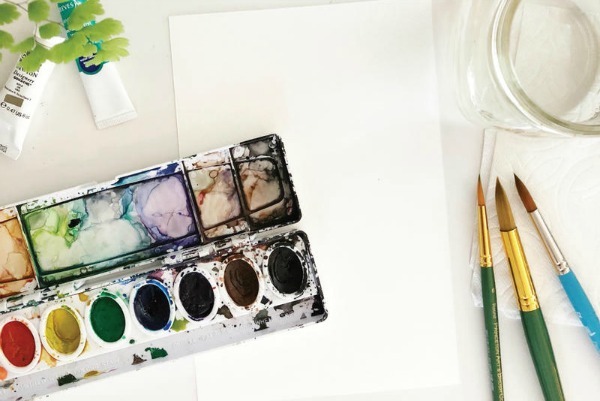 I love the idea of this online water color class! I'm checking that out now! I'm so excited to start! I finally got my last brush in the mail, so now I just need some time to start the first lesson! That wood letter board looks so sophisticated! I haven't seen one like that before! That's what I thought too! I saw it on someone's Instagram post and ordered one right then! I think I like the look of this wood board better than those felt letter boards that everyone seems to have. I do too! I think it looks more modern! 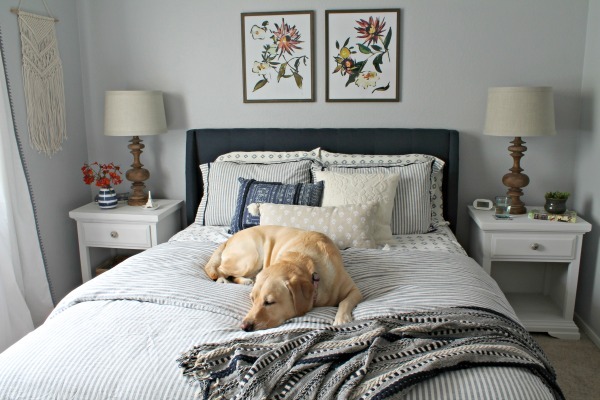 I really love that letter board! Such a different take on the standard one! I know, right?! As soon as I saw it, I ordered one. Great list! I too love that unique letter board and The Happiness Project is such a good book. The Happiness Project was SO good! I finished it 2 days ago and I loved it. Oh how funny! I just was given a Gretchen Rubin book by a friend and told I had to read it! Now I'm extra intrigued. I enjoyed your quick round-up post style! Thanks! 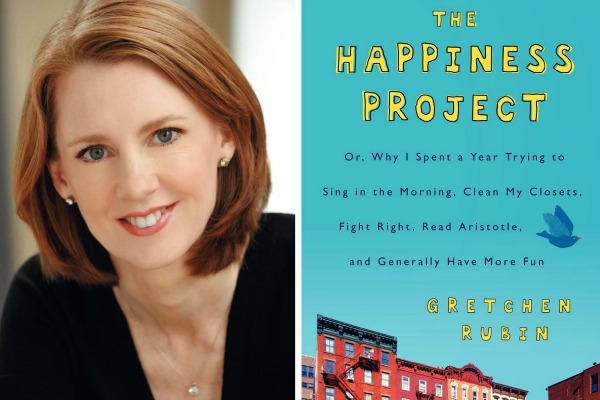 I'm a huge Gretchen Rubin fan! I listen to her podcast every week and have read a couple of her books. I hope you enjoy the book!